Get your logo printed on the water clear acrylic 24 oz. Large Carnival Tumbler. Clearly a great choice for promotional tumblers and imprinted business gifts. Features are Clear Acrylic Tumbler with Colored Screw On Lid and Straw. 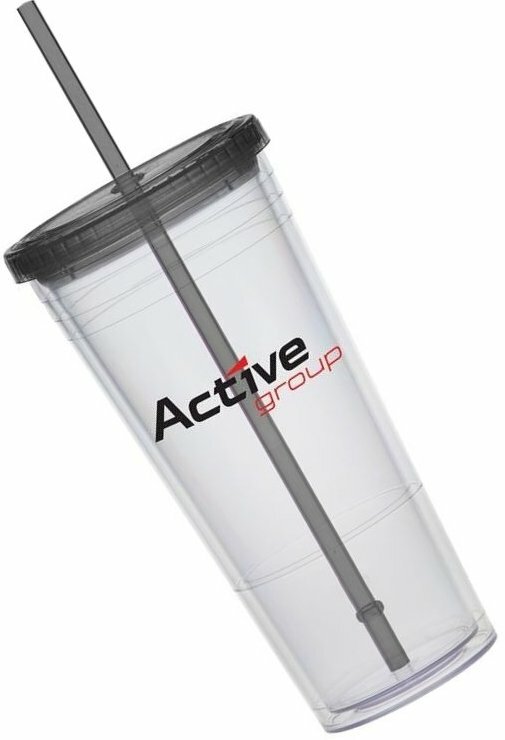 Personalize the Large Tumbler with the lid - straw color and your logo. Overall size is 7 7/8 H x 3 3/4 dia. Buy lots of 24 units over the min. Price includes a one color imprint on two sides 2 3/4" w x 3 1/4" high. We suggest Match Straw Color for your imprint color. Courtesy Pantone Color Match, not guaranteed.